A serious flaw in PayPal Holdings Inc, an American company which operates a worldwide online payments system, has been patched. The flaw could have allowed an attacker to trick users into handing over their personal and financial details. “I’ve found a Stored XSS vulnerability that affects the SecurePayment page directly which allowed me to alter the page HTML and rewrite the page content, An attacker can provide his own HTML forms to the user to fullfill and send the users data back to attacker’s server in clear text format, and then use this information to purchase anything in behave of users or even transfere the users fund to his own account,” the researcher posted in his blog. According to the Egypt-based researcher, a malicious actor could have set up a rogue shopping site or hijacked a legitimate website, and alter the “Checkout” button with a URL designed to exploit the XSS vulnerability. 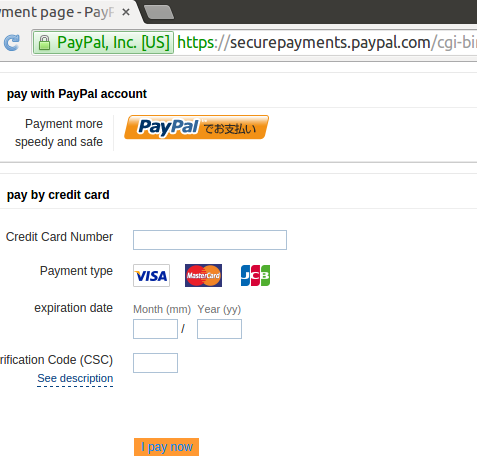 The flaw could allow the attacker to change the contents of the SecurePayments page and display a phishing page where the victim is instructed to enter personal and financial information. The collected data is then sent back to a server controlled by the attacker, the researcher explained. The researcher, who had found a serious flaw in Yahoo domain last year, reported about the vulnerability to PayPal on June 19. The payment processor confirmed patching the flaw on August 25. After that, the company concerned awarded Hegazy $750 for his findings, which is said to be the maximum bug bounty payout for XSS vulnerabilities.